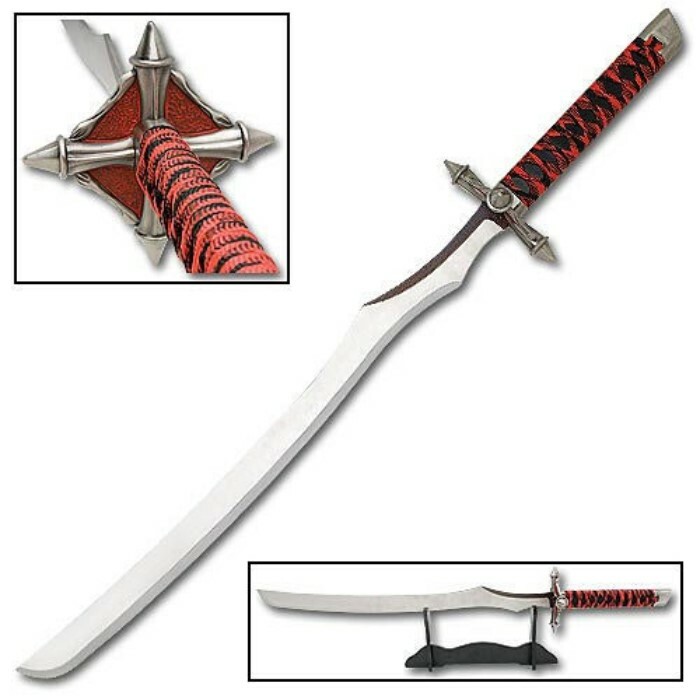 Red Devil War Sword | BUDK.com - Knives & Swords At The Lowest Prices! This distinctive fantasy sword is sure to spice up your collection! Stretching 40" overall, this piece features a hardwood handle with red and black nylon cord wrapping and a star-shaped cast metal guard accented with red highlights. The 28 1/4" blade is mirror finished, 420 stainless steel in a unique curved style. This item includes a tabletop display stand for everyone to admire its form and beauty!